- Is Your Diet Healthy for Your Heart? - What's the Word on Aspirin? Is it Good for Your Heart or Not? 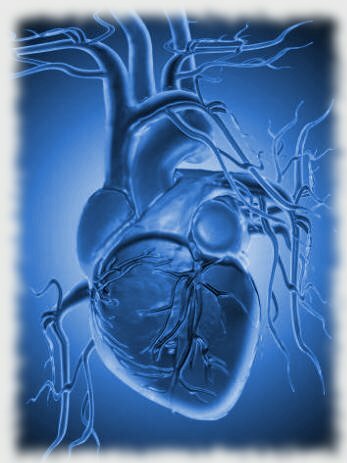 In spite of all the fuss over heart disease - all of the statin drugs and low-fat diets and cholesterol testing - none of it seems to be making much of a difference in cardiovascular disease. You don't need a medical degree to see that the so-called "solutions" offered by conventional medical treatment sponsored by big pharmaceutical companies are far from beneficial. In a huge, 6-year study of 34,000 participants, shocked researchers found that men who drank 5 or more glasses of water daily had up to 51 percent fewer fatal heart attacks than those who drank less than 2 glasses. Women water-drinkers had up to 35 percent fewer. According to study author Heidi May of the Intermountain Medical Center in Utah, "Our data suggest that depression is an important and emerging risk factor for heart failure." After studying over 14,000 heart patients with clogged arteries, the study found that heart failure rates skyrocketed for those with depression. Patients without depression had heart failure rates of 3.6 per 100 - but the rate for depressed patients was a staggering 16.4 percent! Though this is the first study to draw such a link, we've known for years that depression can be as devastating physically as it is emotionally. Depression sufferers often have heart-related health issues, including a tendency for blood clots. It seems emotional health is equally important to heart patients. It's common knowledge that obesity affects our bodies in many negative ways, but fat around the abdomen is even more risky and is now associated with a higher chance of death. People with a larger waist circumference have now been associated with a greater risk of dying from any cause over a nine-year period. Previously, a larger waist was associated with diabetes type 2, inflammation, insulin resistance, abnormal cholesterol levels, and heart disease. This is because obesity, particularly in the abdominal region is associated with fat tissue in viscera, or organs in the abdomen like the heart, liver, pancreas, and stomach, which is thought to be much more dangerous than fat under the skin. Eric J. Jacobs, Ph.D., and his colleagues at the American Cancer Society, Atlanta, studied the association between waist circumference and the risk of death on 48,500 men and 56,343 women that were 50 and older. Their deaths were tracked through the National Death Index until Dec. 31, 2006. By this time 9,315 men and 5,332 women had died. After calculating BMI (body mass index) and other risk factors they concluded that very large waists (47 inches in men and 42 inches in women) were associated with twice the risk of death across all categories of BMI. It was found that women had a slightly higher risk than men. "The reason for the stronger association between waist circumference and mortality among women with low BMI in our study was unclear," the authors write. "Future detailed analyses of the relationship between waist circumference and visceral adipose tissue or measures of insulin resistance within categories of BMI could identify biological reasons for potential differences in the strength of the association between waist circumference and mortality." These results could help the development of future guidelines for obesity because right now there are no guidelines on excess abdominal fat and how to get rid of it or weight loss goals for these people. Is Your Diet Healthy for Your Heart? Yes, this is a startling statement, but it is true. Learn why from one of the leading alternative physicians in the country. A MUST read if you believe you have cholesterol problems. Habitual dieters who constantly lose weight and then gain it back appear to have lower levels of HDL (good) cholesterol in their blood, putting them at increased risk for heart disease. Although folic acid and, to a lesser extent, vitamins B6 and B12, are known to be able to reduce levels of homocysteine, another nutrient--betaine, found mostly in eggs and liver--also has this capability. This study found a dramatic reduction in heart disease in women who practiced several dietary and lifestyle behaviors. Although not all of these supposed risk-reducing behaviors are ones that I would agree with, this study shows the tremendous impact that these drug-free approaches can have. A pair of Harvard researchers presented a new take on the dietary guidelines to prevent heart disease. A low-fat, high-carbohydrate diet may not be 'ideal' after all. Lutein, an antioxidant nutrient already linked to eye health, may help prevent the hardening and narrowing of arteries that can lead to heart attack and stroke. Soy, already bad for your health, has also been proven to lead to a higher likelihood of heart disease. New studies confirm soy's hype as it fails to prove earlier beliefs that soy phytoestrogens reduce heart disease in women. A moderate-fat diet reduced dieters' cardiovascular risk better than a low-fat diet. A recent comprehensive JAMA article from Harvard reviews recent medical literature and documents what helps to prevent heart disease. A tasty new way to reduce plaque buildup in your arteries? Does Cranberry Juice Fight Heart Disease? Researchers want us to believe that drinking three glasses of cranberry juice a day will reduce your risk of heart disease. Learn why this might not be true. New evidence that supports the mild consumption of red wine to help the heart. Don't miss this one. It is one of the easiest ways to reduce your chance of dying from one of the highest risks of death: heart disease. Controversy has surrounded the idea that saturated fats cause heart disease; however, studies indicated that diets high in these fats might actually BENEFIT postmenopausal women. Learn the truth behind the "saturated fat myth" and understand how to discern if consuming these fats is good for YOUR health. Heart disease doesn't have to be one of the leading causes of death in the United States. Learn the steps it takes to minimize your risk and strengthen your heart health. Researchers have found that ginger extract can have dramatic effects of cardiovascular health. Israeli women who have an intense fear of terrorism appear to have higher levels of a marker of blood vessel inflammation, which is linked to a potential risk of heart disease. Learn the most effective method for releasing your fears before they start taking control of your health. Learn how stress management can play a part in helping heart disease patients. An unhappy marriage can break a woman's heart, figuratively and literally. People who put much more into their jobs than they get back are more likely to die of heart disease than those who are fulfilled and satisfied by their work. Depression and heart disease are linked through impaired blood vessel function. This link may explain why the risk of heart disease is doubled in people with depression. Read how reciting the Rosary or engaging in a yoga mantra can have great cardiovascular benefits for the heart. Personality plays a role in heart disease risk, and women who are angry, anxious or depressed may be at an increased risk. Find out how stress management techniques may lower your risk. There is another risk factor of heart attack that is an even stronger predictor of an upcoming event than smoking or high cholesterol: mental stress. Don't let mental stress take a toll on your health, find out my favorite method for combating stress and other negative emotions. How Can You Treat Cancer, Diabetes and Heart Disease? Run From It! Learn how to use exercise to improve your body function, help balance metabolic activity and significantly boost immunity, helping to prevent a host of diseases including cancer, heart disease and diabetes. And the best part is, you can get benefits in as little as 10 minutes. Women who spend as little as one hour walking each week can cut their risk of heart disease in half. New research confirms that this is one of the most powerful interventions to not only treat, but prevent nearly every type of cardiovascular disease. Setting aside just 30 minutes of moderate exercise a day could improve your cardiovascular health. Find out why consuming fish oil (high in omega-3 fats) is beneficial to your heart health and learn which source of fish is proven to be mercury-free and safe to eat. Babies who are breastfed or fed formula with fatty acids DHA and AA added may have a reduced risk of heart disease as adults. Omega-3 fatty acids, such as those found in fish oils, protect against heart disease and stroke by stopping the build-up of fatty deposits in the arteries. It is crucial to your health to make sure you are getting enough omega-3 fats in your diet. More studies confirm the health benefits of omega-3 fats. Find out why, in terms of its potential impact on health in the Western world, the omega-3 story may someday be viewed as one of the most important in the history of modern nutritional science. Further evidence has proven that dietary intake of omega-3 fatty acids can protect against coronary heart disease. Read how fish oil can decrease your risk of heart disease. The type of fish meal you consume, whether it be a fried fish sandwich or broiled fish, will affect the cardiac benefits received. Find out what you can do to ensure you receive the health benefits of fish without the health risks of mercury contamination. The latest updates on omega-3 fats to reduce your risk of heart disease. If you have high triglycerides this is a must-read. Omega-3 fatty acids from fish oils can be your ticket for a healthy heart, learn why. Two independent studies in two of the largest medical journals prove that fish oil is one of the major solutions for one of the greatest causes of death. What's the Word on Aspirin? Is it Good for Your Heart or Not? Read how there is no support to the claim that aspirin can help prevent heart disease, and also that aspirin consumption may also have other adverse effects. What is Better Than an Aspirin a Day for Heart Disease Prevention? Aside from not working, aspirin is fraught with side effects. Find out a natural food alternative. Is Aspirin Really Good for Heart Disease? An editorial states that aspirin is useful for treating a variety of illnesses including heart disease and Alzheimer's, but aspirin is not the answer for heart disease. Find out one simple thing you can do to greatly reduce your risk of heart disease. There are better options than aspirin to reduce your risk of heart disease. This article claims that even a small dosage of aspirin can help make a difference in the prevention of heart disease. But recent findings contradict this. The antioxidant vitamin E may help reduce high levels of the inflammation-causing proteins, C-reactive protein (CRP) and IL-6, which may contribute to heart disease. Does Vitamin E Protect Against Heart Disease or Not? Past studies suggest vitamin E may protect against heart attack, but now researchers are not so sure. Find out why the type of vitamin E may make a big difference. Women who don't get enough vitamin E in their diets are at an increased risk for arterial disease. Omega-3 fat intake, however, may be more significant factor in determining risk. High doses of this vitamin were shown to provide benefit to diabetic patients, not only through its well-known antioxidant properties, but also by acting as an anti-inflammatory agent as well. Just make sure that you use the correct type. Standard hormone replacement therapy (HRT), so often used in menopausal and post-menopausal women, does not protect against heart disease after all. The American Heart Association is now advising doctors to avoid considering Hormone Replacement Therapy in women who have a history of heart disease. This comes after a study showing that HRT raises the risk of recurring heart disease. A well-known impotence drug increases the blood's stickiness, which may lead to an increased risk of heart attack. I can't say the name of this drug or spam filters will block the e-mail, but find out why you should avoid it and discover some practical alternatives. Cholesterol drugs known as statins are prescribed for millions of people even though they lead to a life-threatening deficiency of CoQ10, which can actually cause heart failure. A Link Between the Smallpox Vaccine and Death From Heart Disease? There may be a link between death from cardiovascular disease and the smallpox vaccine. Smallpox Vaccines and Heart Disease, No "Coincidence"
Adverse cardiac events have been reported among smallpox vaccine recipients. Get the latest update on smallpox in response to the connection between smallpox vaccines and heart disease. A six-in-one pill called the Polypill has been proposed by researchers to cut heart disease risk. Learn why a pill is not the answer for reducing your risk of heart disease and find out what is. For two decades, doctors have recommended Premarin for menopausal women to protect their hearts, but now it appears the hormone does not seem to help. My letter on an option to traditional approaches for osteoporosis. Taking calcium channel blockers can double a women's risk of dying from heart disease. Read on and learn how to lower high blood pressure safely with these proven methods. Is this drug the answer for heart disease? Common, chronic bacterial infections, including lung and urinary tract infections, as well as gum disease, may increase the risk of atherosclerosis, a buildup of fatty plaques in the arteries that could lead to heart attack. Read how this simple, inexpensive test has been shown to be highly predictive of your risk for heart disease, and more importantly, how you can normalize it. Read about an amazing new test for heart disease that is far less intrusive than current traditional means. In 1991, Linus Pauling invented a non-prescription cure for heart disease. He claimed that with the use of a specific "mega-nutrient" therapy heart disease can be controlled and even cured. Keeping your systolic blood pressure below 140 is a great goal, but how do you reach it? Breastfeeding your child could decrease their risk of having a heart attack or stroke later on in life. Read about what you can do to lower your levels or keep them from going up. Men with male pattern baldness -- hair loss mainly affecting the vertex or crown of the head -- face higher risks of heart attack, chest pain, and coronary artery problems. There may be a far more accurate method of testing for heart disease, one that is even more effective than testing for overall obesity. 20% of Heart Attacks go Undetected -- How Can You Check Your Risk? About one-fifth of heart attacks among middle-aged and older adults may go unrecognized, according to new estimates. Find out what are the best tests to predict your risk of heart disease. This is a must-read. Heart disease kills more women than men and Mayo Clinic researchers have confirmed that the traditional medical system is a major disappointment for most women with this disease. If you suffer from rheumatoid arthritis then you may also be suffering from silent, frequently unrecognized heart attacks. CRP, a protein that measures inflammation, has been linked to heart disease. Find out why this protein can be an indicator of impaired heart health and learn how you can maintain a healthy CRP level. I have warned for some time now to avoid fish unless you are certain that it is low in mercury. A new study may confirm one of the health risks associated with eating contaminated fish. Further support to stop eating fish and use far less expensive fish oil supplements to achieve all the benefits of omega-3 oils.